There aren’t many jobs where you’re practically pestered to drive hot cars, but it appears I’ve found myself in that lucky role! 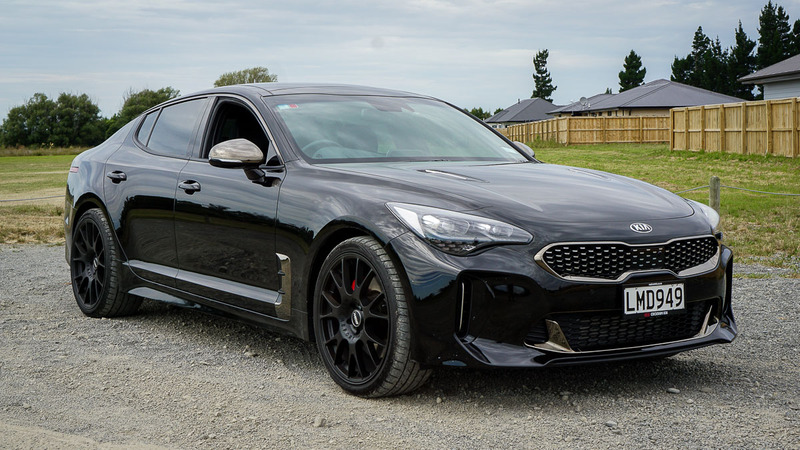 We have a wide range of vehicles within our group and it would take an eternity to get round them all, so when Nathan at Cockram Kia called me and asked me to take home the new Kia Stinger GT Sport it was a fair while before I got round to driving it. 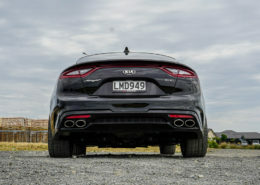 I’d seen it in the showroom and was already aware it was quite a looker, and it didn’t take long on the road before I could see it was a powerful performer (3.3 litre twin turbo V6 with 272kW of power to the rear wheels if you’re asking), but what really surprised me was how practical this car is. 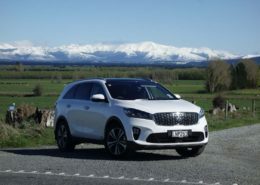 My family are already familiar with the Kia brand as we own a Sportage as our family car (I drove its big brother, the Sorento, recently if you want to check that out). 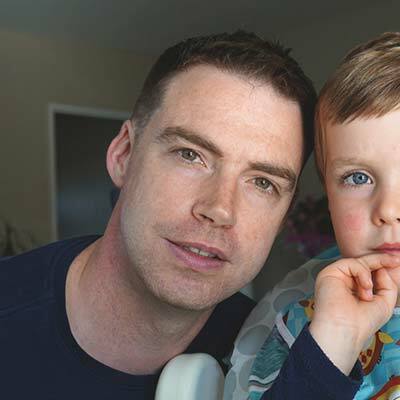 We chose it, in part, thanks to the impressive 5 year warranty (we bought it used but the warranty was still valid and transferred to us) but also thanks to the brand’s awesome reliability. 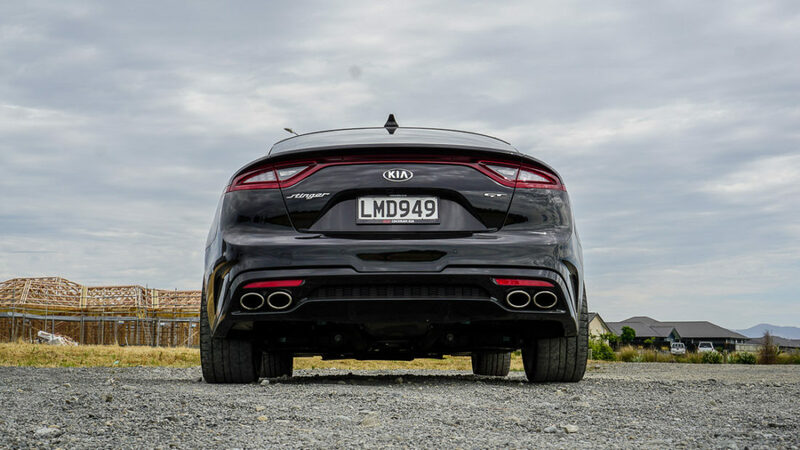 Toyota’s long been ‘known’ as a reliable vehicle, but recent JD Power surveys overseas have placed Kia firmly at the top of the list when it comes to dependability. Who knew? So Kia has always been a ‘family car’ brand for us, but the Kia Stinger GT introduced us to a whole other side of the coin. 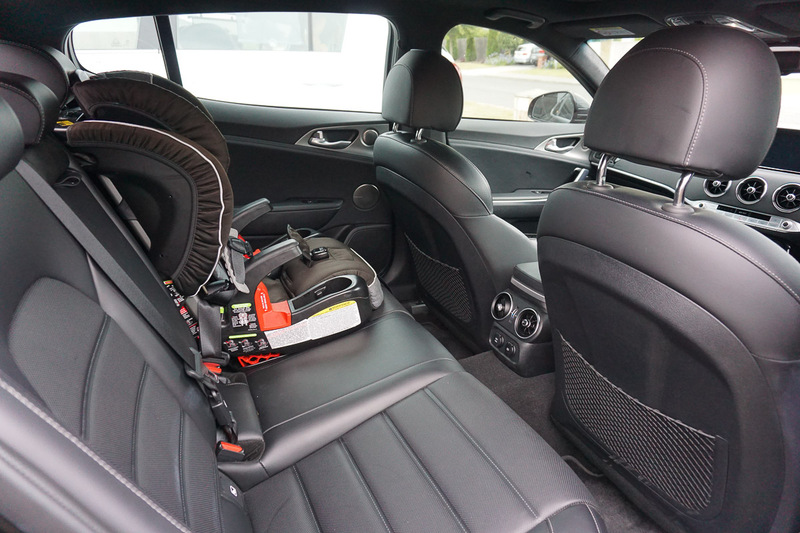 Having a performance car is a pipe dream when you’re a family man; it’s nice to have as your family’s second car, but there are going to be times when you’ll need to take the kids somewhere and you may need to put a pram and other gear in the boot. It’s also stylish. For me, the front-end takes a small amount of getting used to but, when combined with the rear, you can’t fault it for not looking like every other coupe on the road. It feels like it’s in class of its own. 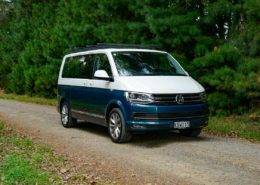 I also particularly like the subtle two-tone details – those almost bronze-coloured inserts on the side vents and round the front grille. Subtle enough to not distract from the car’s overall design, but standing out enough to really give the car some shape. 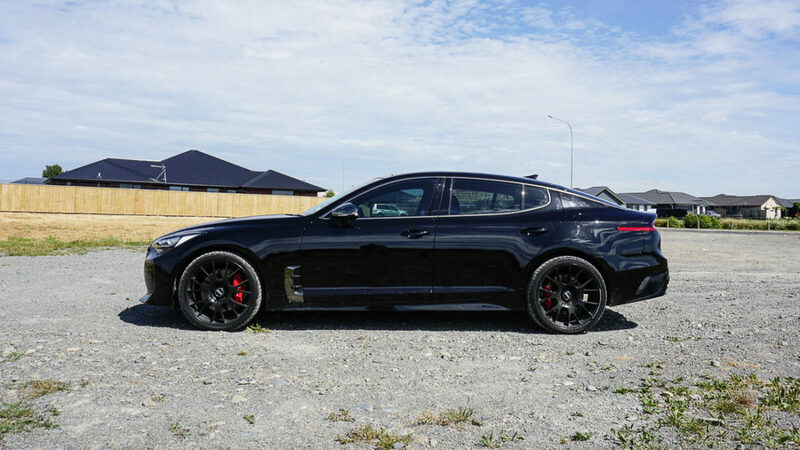 When my son saw this car he said ‘batmobile’ but (and sorry for the blasphemy here) in black with those red details it kept reminding me of Knight Rider’s Kitt. Speaking of Kitt, unlike other sports cars like, say, the Toyota 86, the Stinger GT is packed full of advanced gear. It’s less of a raw track car in that sense and more of a comfortable luxury highway cruiser. 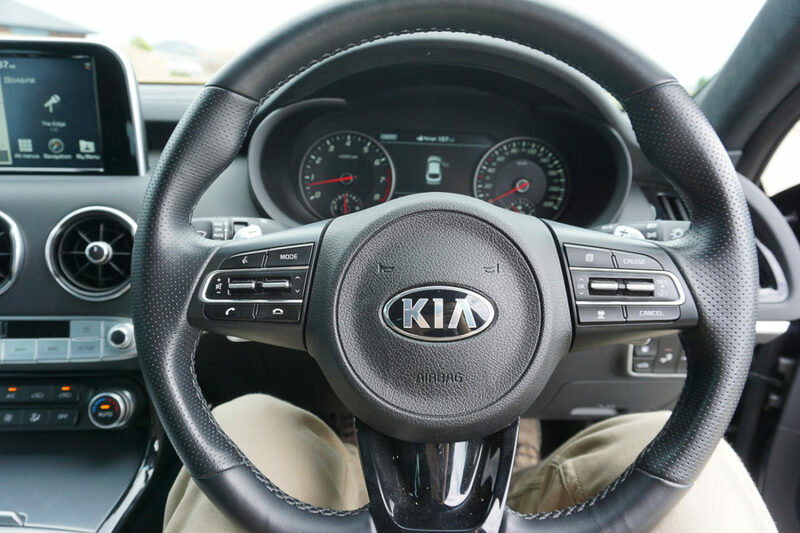 The trim and leather seats are high quality and the dashboard controls are tastefully done, but it’s the technology that really stands out. 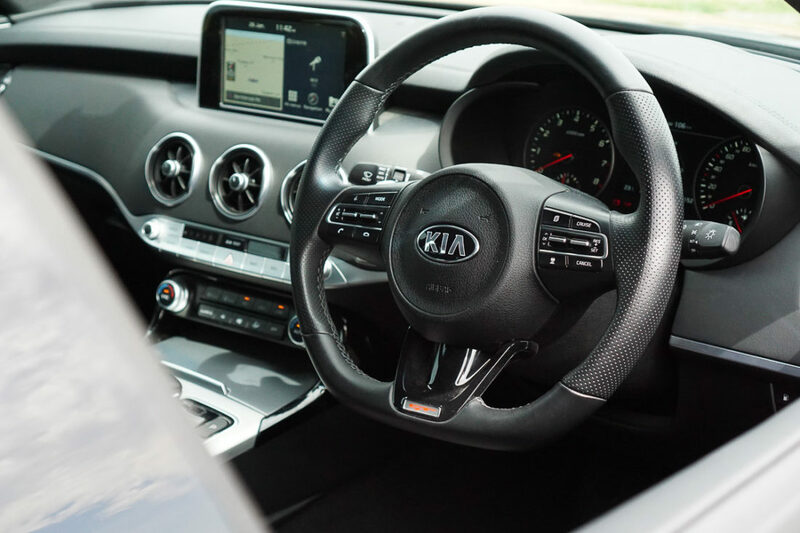 The central touchscreen has plenty to offer, while the multi-info display between the dials is what you’ll turn to the most for various information and settings. One menu item of note is for the heads-up display. HUDs have always felt like a bit of a gimmick for me. They’re often distracting, slightly pointless, basic and can’t be customised. 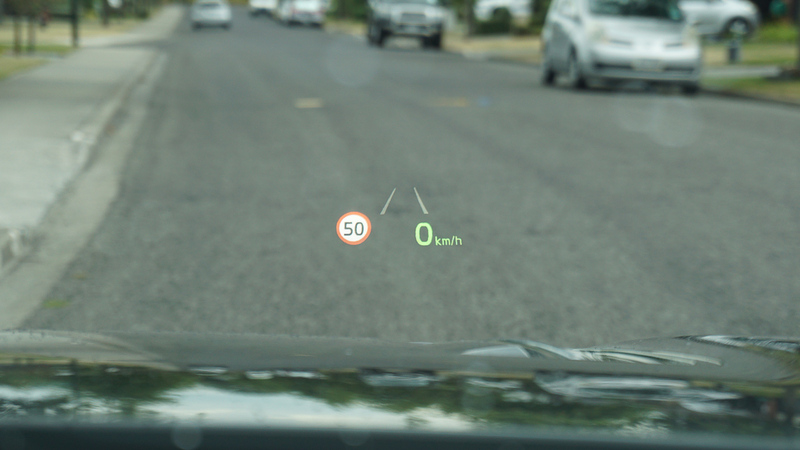 However, the HUD in the Kia Stinger GT is the best I’ve seen. These items can be added or removed through the settings, plus you can adjust the position and (for some reason) angle of the display, the size and colour of the speed reading, and the overall brightness. It’s not a gimmick, it’s actually very useful. Is there anything I don’t like about it? Well, it can feel a little controlling at times. 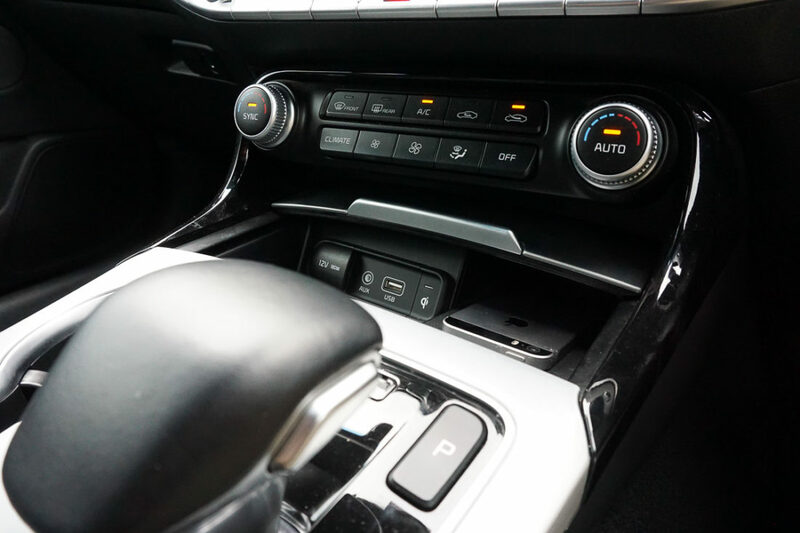 The lane keeping assist can provide too much input; beeping away each time you touch a white line (although this can be adjusted or turned off) and a few of the settings can’t be adjusted unless you’re stopped and in park. I appreciate that this is a safety thing, but this also stops the passenger from being able to make these changes for you. Although I’m probably just being impatient and once you have everything set up like you want then you won’t need to change those options while on the road. One more thing that was actually quite impressive but not quite perfect is the legroom in this car. I’m 6 foot 2 and can sit quite comfortably in the front seat and then jump into the seat behind me without having to make any adjustments, and still with room to spare. Quite impressive until I leaned right back and my head touched the roof. Not a biggy and, like I said, the legroom is pretty amazing, not just for a sports car but for any car. Add to that the huge boot behind you and you’re pretty set for interior space. I filmed a reasonably thorough walkaround video of this black Stinger GT and tried to show a few of its standout features. Check it out below. 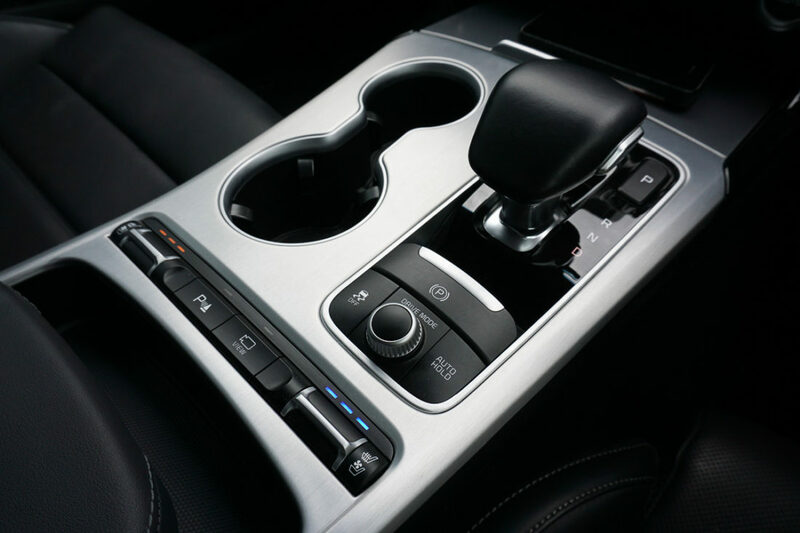 I’d always assumed that if I ever changed jobs to a role without a company car and I had to purchase a second car then I would most likely be stuck with a wagon or another small SUV, and I never would have considered a sports car. Sure, I like the Toyota 86 but it’s not a practical car, isn’t particularly comfortable and is reasonably sparse when it comes to creature comforts. 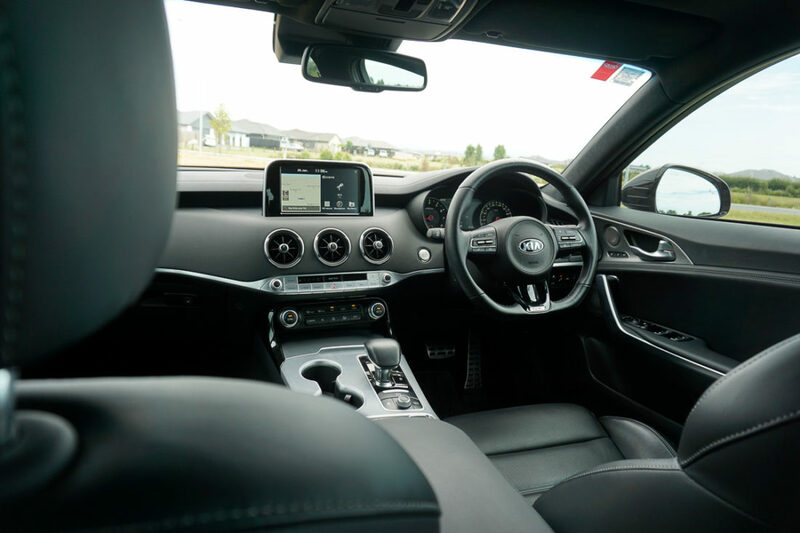 The spacious Kia Stinger has changed this assumption and shown me that I don’t quite have to put my boy racer years behind me yet. 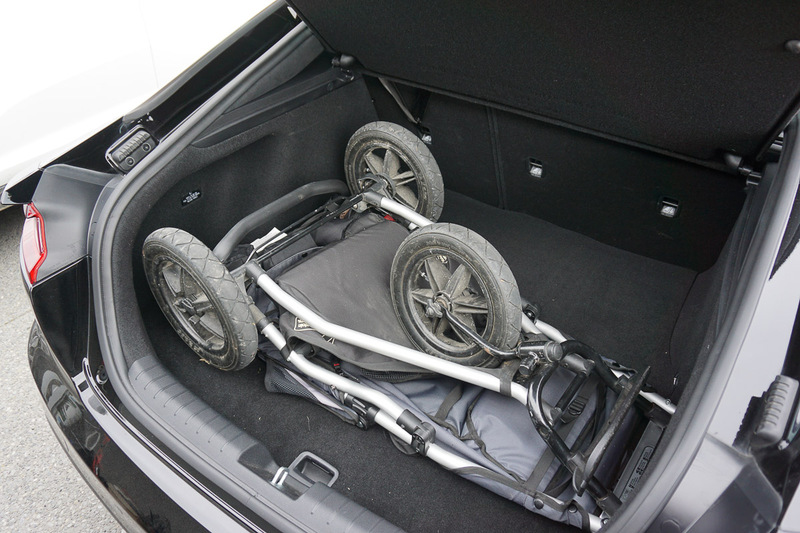 You can have a head-turning sporty car that can also safely take three car seats (if needed) with a pram in the boot, or transport adult passengers in the rear without looking comically cramped. 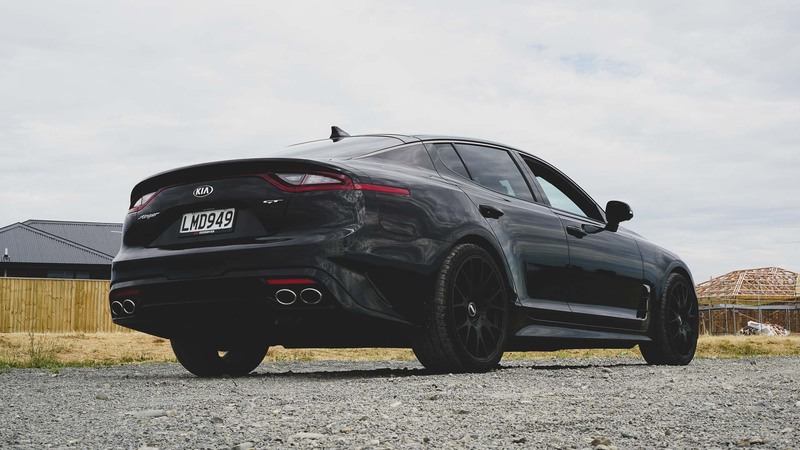 At time of writing, you can pick up a new entry model Kia Stinger EX for pretty much the same price as the entry model Toyota 86 (Stinger EX at $45,990 and Toyota 86 at $44,990 as of right now, but check here to confirm). You won’t have as many fellow owners on the road with you and may have to defend your choice in more conversations with mates and co-workers, but you’ll have a longer warranty, a more complete car, and quite a unique conversation piece in your garage. Thanks to my employer, Cockram Kia, for the ride. 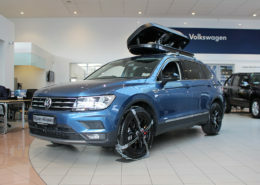 Catch up with Nathan and the team there if you want to check it out for yourself, or even this black model with the hot wheels if it’s still available!